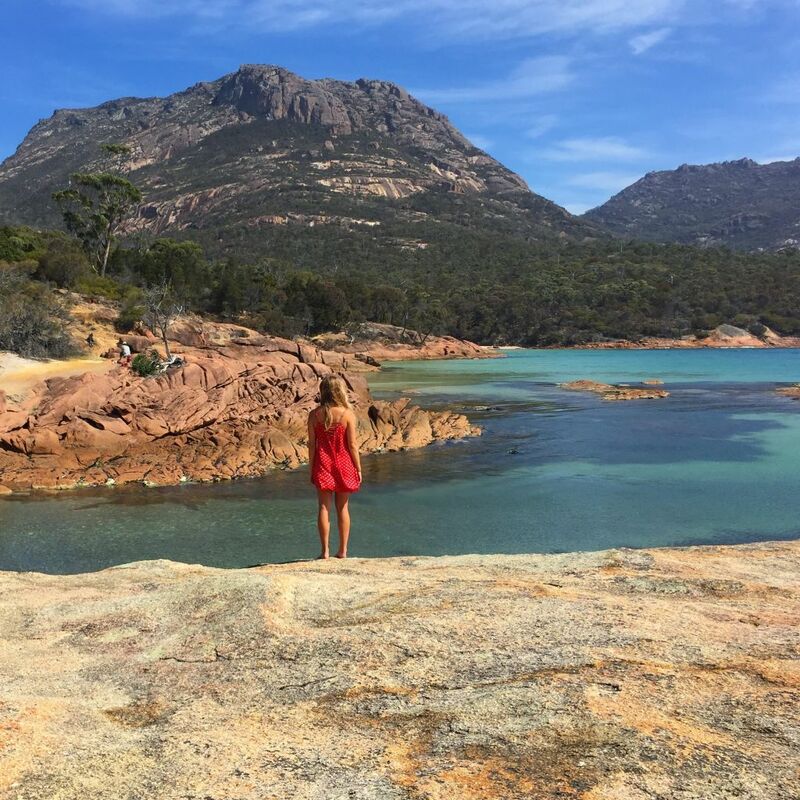 Freycinet National Park hosts stunning landscapes as far as the eye can see, home to the iconic Wineglass Bay, Honeymoon Bay and the Hazard mountain ranges. Anyone that has been to Freycinet will tell you just how stunning it is. This guide is on things to do in Freycinet National Park. You can do everything in one day, but I highly recommend leaving yourself a couple of days to explore Freycinet National Park. 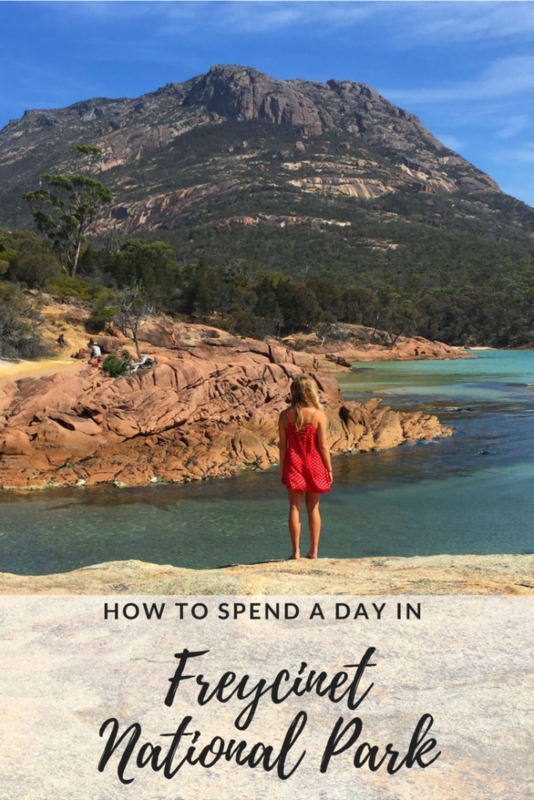 If you are heading to Freycinet National Park for just one day, I suggest leaving as early as possible so you can spend more time in the region. The place to start is Wineglass Bay which is by far the most popular attraction in Freycinet National Park and for good reason. 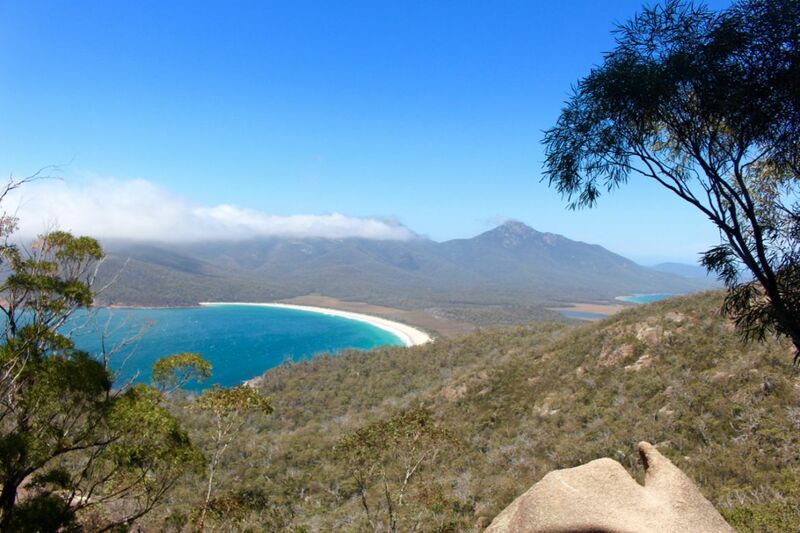 I have a full guide on hiking to Wineglass Bay Lookout and beach. I suggest using this guide to decide what hike is best for you. My recommendation is to hike to Wineglass Bay Lookout then down to Wineglass Bay Beach. The white sand, turquoise water and red rocks that surround the edge of the beach make it truly unique. Unsurprisingly, Wineglass Bay Beach was voted in the top 10 beaches in the world and because you have to hike to get there you will have the beach to yourself. You could happily spend all day in this area alone, but there is so much to see in the park so if you only have 1 day, you will have to get moving. Just a 2 minute drive down the road from the Wineglass Bay lookout car park you will find Honeymoon Bay. If you have a packed picnic I would move down to Honeymoon Bay to enjoy it. There is a shaded day use area, bathrooms and some friendly wildlife waiting to say hello. Honeymoon Bay is spectacular. The granite mountain ranges meet the turquoise water which makes for a contrast of landscapes like no other. Another 10 minutes down the road you will find Cape Tourville Lighthouse, another attraction in Freycinet National Park offering an overview of the Freycinet Peninsula. Cape Tourville Lighthouse is an easy 600-meter long trail that wraps around the coastline and offers stunning views. This walk will take around 20 minutes. Cape Tourville is listed as one of Tasmania’s 60 Great Short Walks and is worth checking out. The final stop for your jam-packed day in Freycinet National Park is Friendly Beaches. 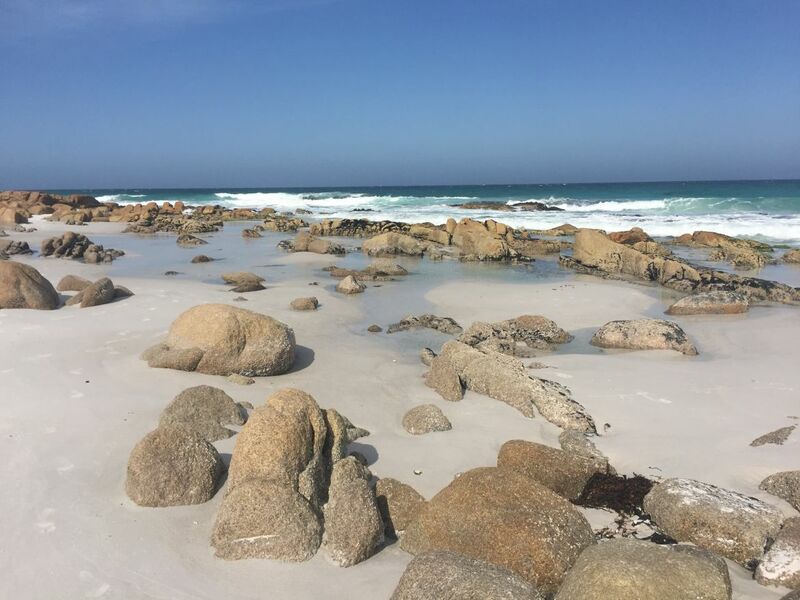 Friendly Beaches are a great place to go after your hiking adventures to relax and enjoy the afternoon. Made up of long stretches of coastline with the whitest sand you will find, I am sure you will be pleasantly surprised. These are the best things to do in Freycinet National Park on a day trip. Looking for a tour of Freycinet National Park? This tour includes everything I have mentioned: Wine Glass Bay, Honeymoon Bay, Cape Tourville lighthouse and friendly beaches, departing from Hobart. Book here. Freycinet National Park is located on the east coast of Tasmania, approximately 2 hours from Hobart and 2 hours from Launceston. If you are day tripping to Freycinet National Park from either of these locations, I recommend an early start to the day! For the best experience, give yourself at least 2 days in Freycinet National Park. If you do only have one day to explore, start as early as possible as there is so much to see. Before arriving in the park, visit a grocery store and stock up on food and water. Pack sunscreen and a hat. If you can hire a car and explore on your own time, this would be better than taking a tour. For more tips for a Tasmania Road Trip, click here.